There several reasons that a garage door can come off the track such as bad or broken rollers which can cause the door to be difficult to open as well as knock it off its track. A bent garage door or a loose hinge can also cause the door to open unevenly and put strain on the rollers and hardware as well as knock the garage door itself right off the track. 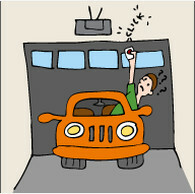 It can also be an issue with your garage doors opening system as well as the track itself can get bent or come loose. Whatever the reason may be having a garage door come off the tracks can make your door useless. If this is the case contact garage door hero and we can remedy the situation. 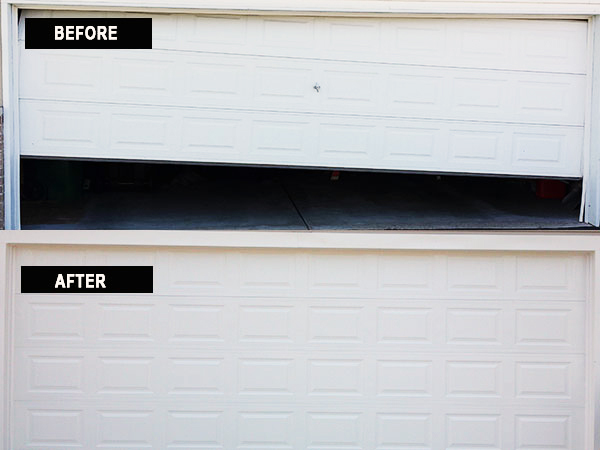 Are you in need of garage door repair in the Orange County area? You need to look no further, because Garage Door Hero can take care of all of your garage door repair needs, usually in the same day. 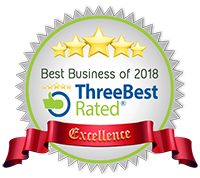 We travel all around the Orange County, Los Angeles area for garage door repair jobs, so if you have been experiencing any of the following problems, please call us today! Have a garage door repair emergency? 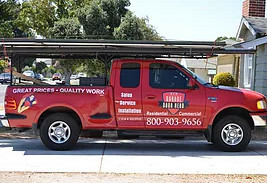 We can usually repair garage doors the same day, please call us to discuss your repair needs. When it’s time to choose the right Garage Door Supplier for your business or home needs, you can count on Garage Door Hero for quality products that will fit your budget. The Garage Door Hero , Anaheim - All rights reserverd.